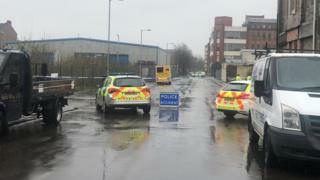 A 20-year-old woman has died after being found badly burned in Glasgow’s Tobago Street. The woman was found at about 17:45 on Friday evening. Police Scotland said her death was not being treated as suspicious. A spokeswoman confirmed that inquiries would continue into her death, and that a report would be submitted to the procurator fiscal.